This marque was produced by 3 corporate entities between 1902 and 1934. While the primary interest appears to have been cars powered by internal-combustion engines fueled by gasoline, a number of electric cars and gasoline-electric hybrid cars were also produced. From 1902 to 1908 these cars were produced by the Allgemeine Elekrizitats-Gesellschaft, from 1908 to 1915 by the Neve Automobil-Gesellschaft and from 1915 to 1934 by the National Automobile-Gesellschaft, all of Berlin (Germany). This line of electric runabouts were produced beginning in 1900, and may have continued as late as 1924. The firm also produced gasoline-powered cars beginning in 1903. 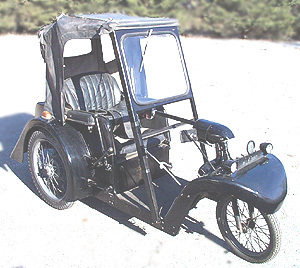 Douglas Neale of Edinburgh built a 4-wheeler, 4-seater electric car in 1897. This vehicle featured dos-à-dos seating, and only one wheel was driven. Several of these were built. 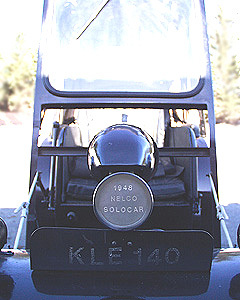 Produced from at least 1948 to 1950 by the Nelco Electric Company of Surrey, the English electric "SOLOCAR" is believed to be a limited-production vehicle. The car features: 36 volt 6-6 volt batteries, front and tail lights, horn, hand and parking brake. A 1948 model was also reported to bear turn and stop signals when viewed in 1999. These features presumably made the car street legal. As these features (turn and stop lighting) were not seen on a 1950 model, it seems likely they were not factory-standard equipment. Steering was by means of a stick like a fighter plane. It was a single seater. Suffield & Brown of London (England) produced automobiles in 1902 and 1903, including those powered by steam, gasoline and electric power. 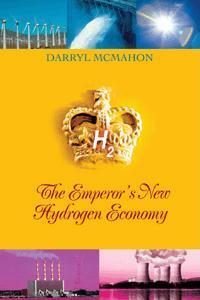 The number of electric cars produced was probably small. Operating in Boston MA, this firm made electric cars from 1899 to 1901 under licence using the designs of the Barrows. These were 3-wheelers, with the single front-wheel being driven. Based in Japan, this firm has produced a number of concept and prototype electric vehicles, but has not manufactured them in any quantity to date. In the 1970's, they showed the EV4P - a lead-acid battery-powered vehicle with a claimed top speed of 87 km/h and a range of 110 to 302 km per charge depending on the operating cycle; and the EV4H - a battery-battery hybrid using zinc-air and lead-acid batteries which claimed a top speed of 90 kph and a range of 250 to 496 km on a charge. This was an electric 2-seater car with a plastic body and used 2 motors to drive the rear wheels, which may have been produced in small numbers in Lansing MI in 1959 and 1960.